can't catch nazareth at a show? bring him right to your home with a dvd. FROm CHURCHES TO ARENAS, LAUGHTER IS EVERYWHERE. Nazareth has seen much success in his 25 year comedic career. His dedication and unrelenting commitment to giving his audience his best performances have bore much fruit. This is has been evident from guest appearances on national television, performing for government official, and receiving accolades by prestigious individuals. The New York Times reported about one of his performances saying, “The show had the audience convulsing.” Nazareth has performed in numerous well-acclaimed stadiums and sports arena across the country.  These venues include, but are not limited to, The Famous Grand Ole Opry in Nashville, The Pepsi Arena in Colorado, The Pizza Hut Center and The Toyota Center in Texas, and Notre Dame University’s Concert Hall. Though Nazareth has seen much success in the public eye, there is nothing that motivates his desire to perform his best than using his career and influence to benefit others. 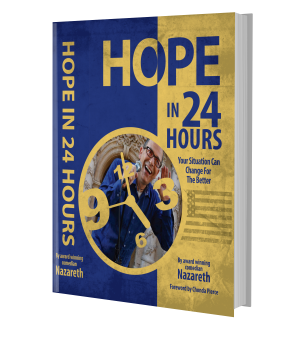 Hope in 24 Hours will leave Readers encouraged, inspired, and filled with hope and patriotism as they are reminded that any challenges they are facing can be overcome.